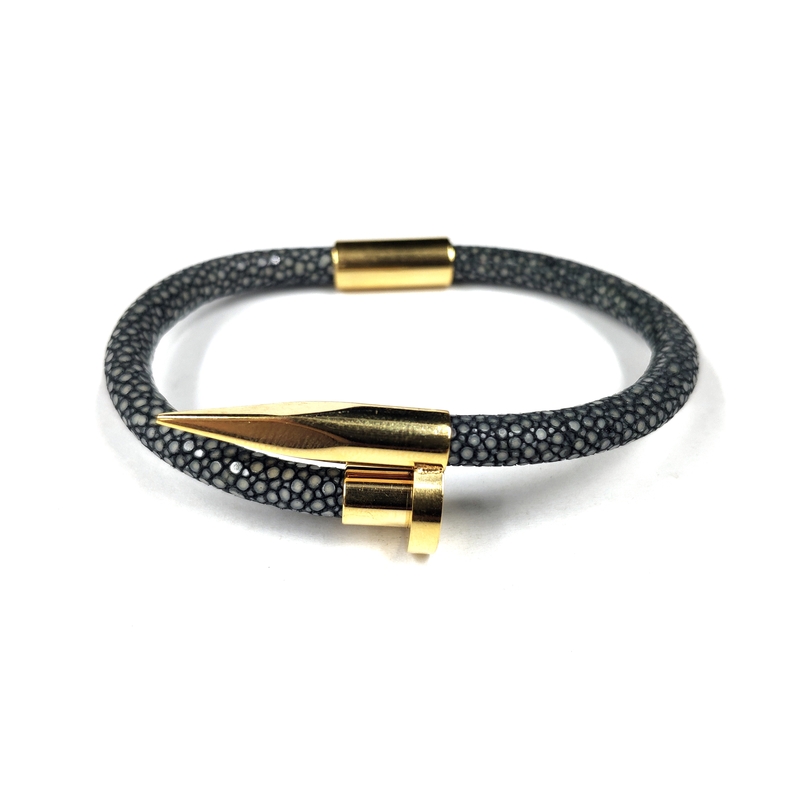 JMY Stingray Skin Nail Braceletst made by genuine stingray rope leather with magnetic clasp.Nail Bracelet Bangle,the nail is made by 316L stainless steel.The clasp with strong magnet stone. 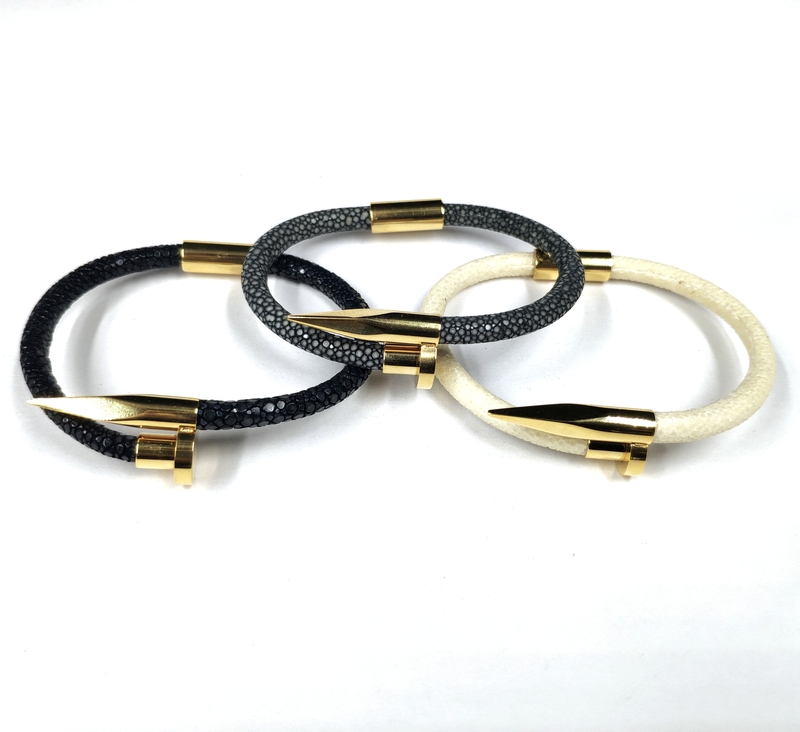 Genuine Stingray Skin Bracelets use high grade singray leather.High Grade Stingray Bracelets can raise up the design quality . MOQ:(1)Sample Order: 1 piece of each model (2)Usual Order: 50pieces of each model. Delivery time:(1)Sample Order:3-5business days. (2)Usual Order: 5-10 business days. 1pc in a polybag, 10pcs into a big one then 100pcs into a bigger one. or according to your requirement. Shipment:DHL, UPS, USPS, EMS, SF, FedEx, RPX, etc. Payment:T/T, Western Union, Paypal, Moneygram, etc. Or according to your Requirement. OEM:OEM/ODM order is welcome, Please feel free to contact us for more info. 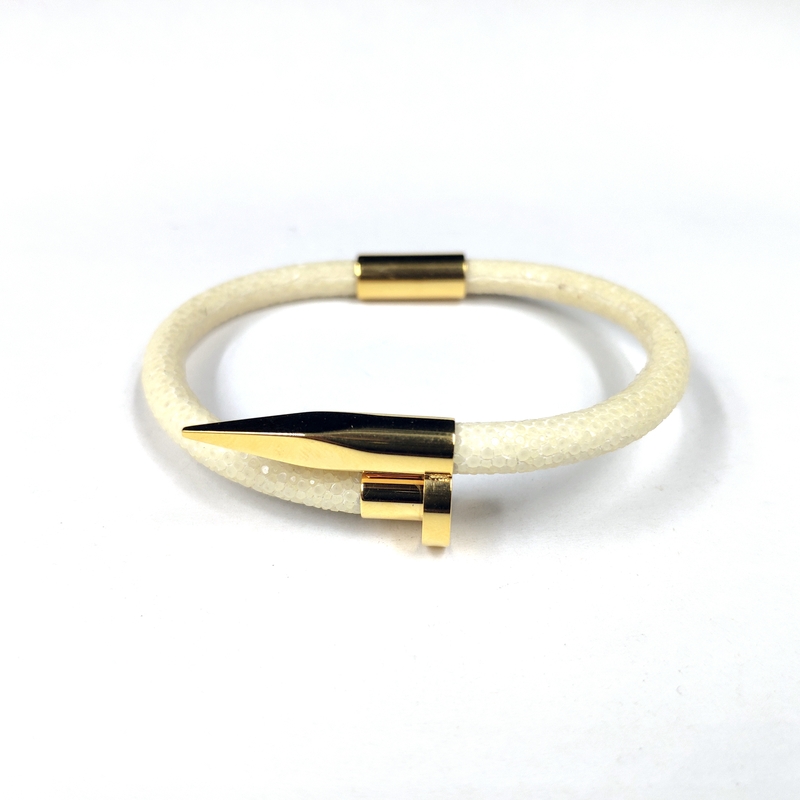 Looking for ideal Stingray Skin Nail Bracelets Manufacturer & supplier ? We have a wide selection at great prices to help you get creative. 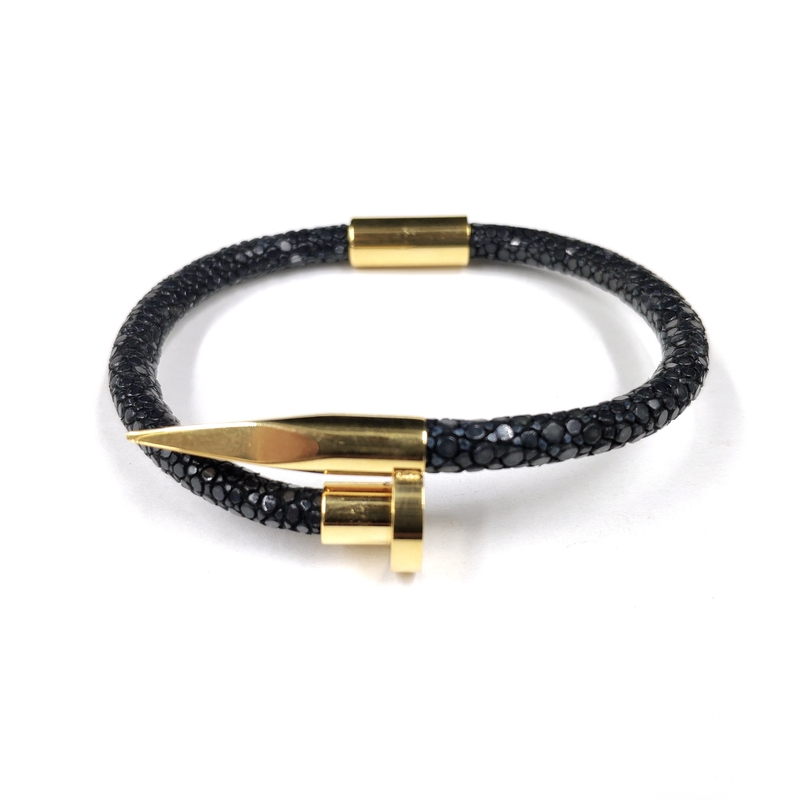 All the Genuine Stingray Skin Bracelets are quality guaranteed. We are China Origin Factory of High Grade Stingray Bracelets. If you have any question, please feel free to contact us.